Offshore wind energy will play a key role in stimulating growth and investment in Europe over the next decade. Moreover, Europe, as a first mover, is set to gain significant benefits from exporting both products and services as offshore markets around the world develop. This can be achieved if the offshore wind industry can reduce costs to levels comparable to other energy sources. A new European FP7 project, LEANWIND, seeks to address inefficiencies in logistics and transport issues for offshore wind installations and so contribute to the reduction of costs. The R&D department of KALEIDO, Ideas & Logistics, as one of the top ten wind power logistics operators in the world, is set to benefit through the participation together with the Oceanic Platform of the Canary Islands (PLOCAN), ACCIONA INFRAESTRUCTURE and IBERDROLA RENOVABLES ENERGÍA, MARINTEC and other European benchmark entities at the global level, who will make key contributions in the areas of integrated logistics, construction, deployment and decommissioning and operation and maintenance in off-shore wind farms. “In KALEIDO we are fully committed to this project that binds wind energy and innovation, with the unconditional support of the board. The logistics of wind energy has been very important in the history of the company. Over ten years of experience providing specialized global integral logistics services for the wind power support our commitment to the industry, with which we have grown to the rhythm of development of our clients”, says Xoán Martínez Reboredo, CEO of KALEIDO, Ideas & Logistics. KALEIDO is currently developing new and innovative innovation and development projects related to wind energy, handling, lashing and optimization of all types of cargo transport and traceability of the goods and GREEN LOGISTICS. KALEIDO is committed to the co-creation and collaborative innovation since its inception, and is open to proposals aligned with its objectives. LEANWIND was awarded to a consortium of 31 partners from 11 countries and is led by Beaufort Research in University College Cork (UCC) Ireland. This project received funding of €10million from the European Commission and has a total value of €15million. 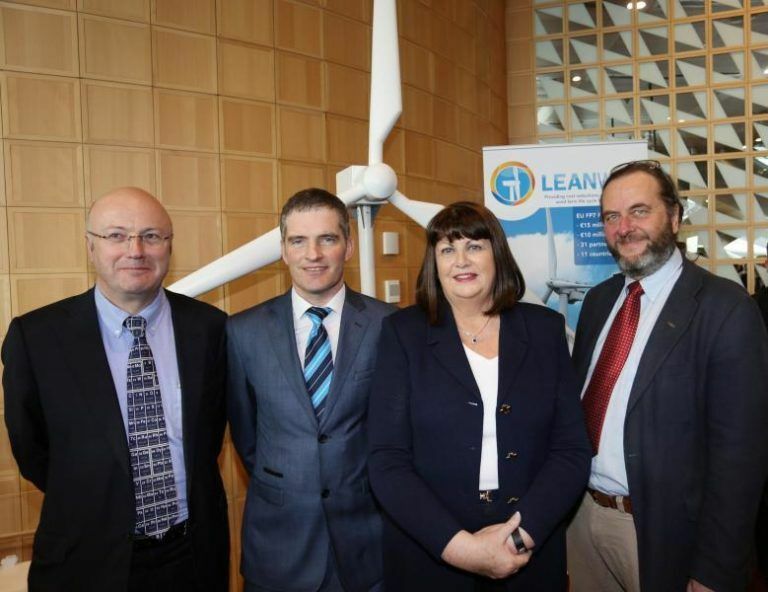 LEANWIND commenced in December 2013 and will run for 4 years. LEANWIND will look at new ways to transport components, manage and organise ports efficiently, adapt fixed and floating turbine structures to aid installation and consider new technologies for wind farm maintenance among other related aspects.